The British singer immediately went on a lengthy Twitter rant after reports began to surface that claimed she gave up alcohol to "grow up." Since Lily Allen had already stated several years ago that she has had issues with alcohol abuse, the British singer was more than annoyed when several reports surfaced on Tuesday (Dec 8th), claiming that she was "giving up alcohol" in order to "grow up." Allen fired back at reports that claimed she recently gave up alcohol to "grow up"
In one alleged false report, she was quoted at the British Fashion Awards apparently saying, "I'm sober tonight. In fact, I haven't had a drink for a month. It's been hard not drinking, but I'm trying to grow up. Finally." 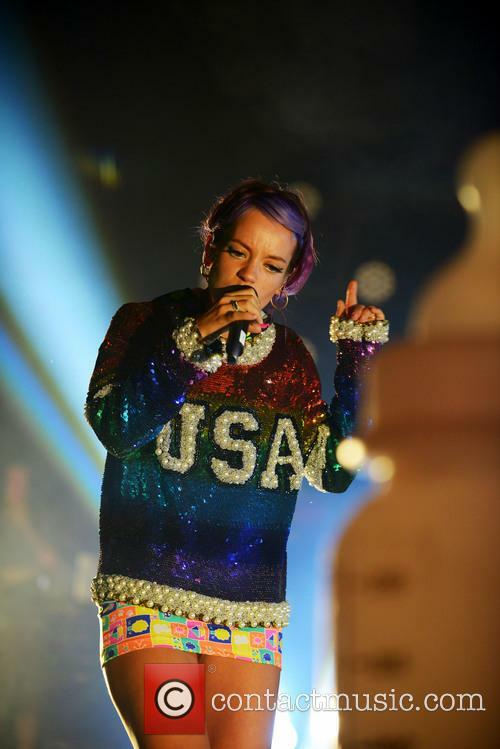 Lily Allen has described the Band Aid 30 single as "smug", and made by a "success club" of musicians. Lily Allen has revealed that she turned down the opportunity to sing on the new Band Aid 30 record because she considered the project "smug". In an interview in the Mail On Sunday's Event magazine, Allen quite rightfully suggested she would rather donate the money herself than sign up for what she dubbed a "success club" of celebrities. "I got an email asking me to do it," she explained. "It's difficult to explain why I didn't do it without sounding like a complete ****. 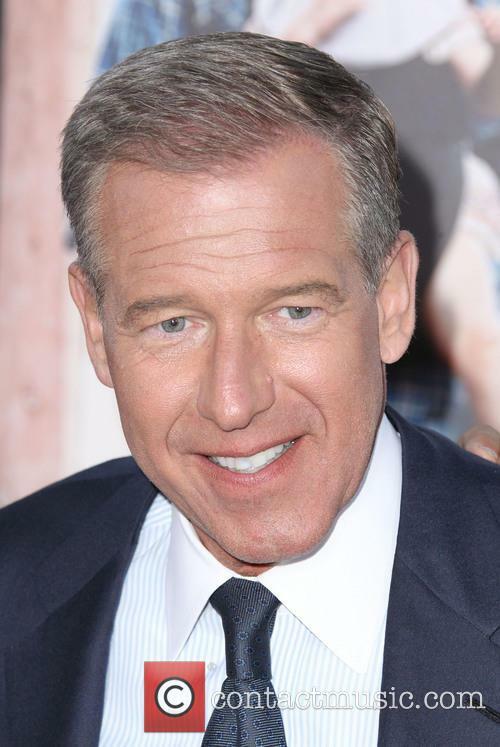 I prefer to do my charitable bit by donating actual money and not being lumped in with a bunch of people like that." English singer/songwriter Lily Allen left her old management shortly after the release of her third studio album. Now, she has revealed who's managing her future. 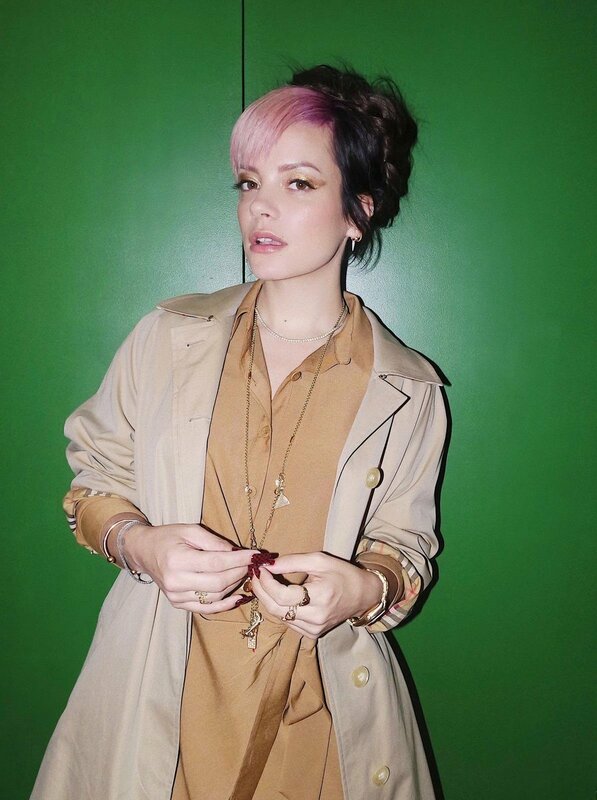 Lily Allen, the English singer/songwriter known for her single, 'Smile', has reportedly gotten new management. This comes in the form of AMA Manager of the Year, Scott Rodger, and Henry Village from Stack House Management. The news was first revealed by Billboard when they reported a cover story on a collection of UK managers that have teamed up to create Maverick, a new managing group, of which Rodger is a member. Allen left Rocket Management in June, and has just signed with two new managers. In June, 2014, Music Week released a story confirming that Allen had left the Rocket Management company after six and a half years. Despite having her third studio album, 'Sheezus', reach the number one spot on the UK album chart, Allen was apparently unhappy with the choice of what songs were released as singles, leading to her departure. 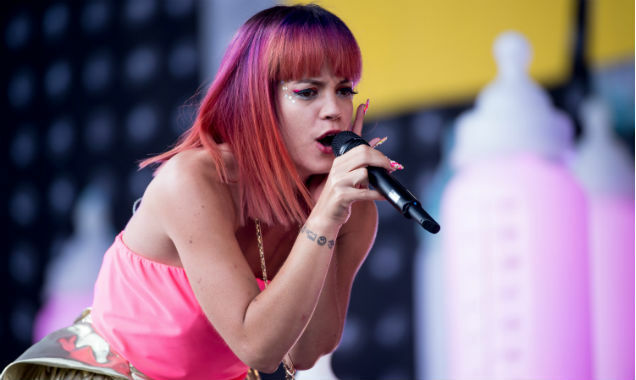 Lily Allen has replaced Two Door Cinema Club as Friday night headliner at Latitude 2014. Lily Allen has been drafted in to headline the Friday night at Latitude Festival after indie-rockers Two Door Cinema Club were forced to cancel. 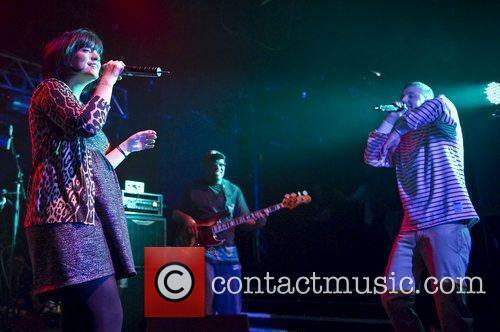 The band's lead singer Alex Timble was hospitalised with a chronic stomach complaint after collapsing at Chicago airport. "It is with deep sadness that our longstanding supporters and Friday night headliner Two Door Cinema Club have had to cancel their performance under advice of doctors. We wish Alex all the best and a speedy recovery," said Melvin Benn of Latitude organisers Festival Republic. Lily Allen's return to music has been eventful to say the least. She managed to garner plenty of negative attention online for her allegedly racist video for her Platinum single 'Hard Out Here', but she's out to boldly show she doesn't care about criticism from ruthless 'keyboard warriors' with her newest single 'URL Badman'. The track opens with playful, music-box like tones before the steady drum beat kicks in and Lily begins to express her apathy over her frequent criticism. As usual, she's talking about real, contemporary issues in her uniquely comedic way that forces you to listen all the way through. The dreamlike, psychedelic hooks dissipate with the arrival of the echoing chorus. The song seems to explode with synth whirrs and dubstep bassline - it's pretty cheesy in all honesty, but it sort of doesn't matter as it only adds to the humour. Despite this, there's another incredible catchy melody from an artist who has always been a master at creating sing-a-long tunes. The pop star let her views regarding the FIFA boss be known at Glastonbury Festival. Younger revellers at this year's Glastonbury Festival may have needed to cover their ears during Lily Allen's set yesterday afternoon. The pop singer, who is known for her occasionally foul language, launched into a profanity-filled tirade against FIFA boss Sepp Blatter. "The next song is dedicated to possibly one of, actually not, the most corrupt, annoyingly corrupt, person there is in the world, Sepp f***ng Blatter, you c***," she said before kicking off her hit 'F**k You.' 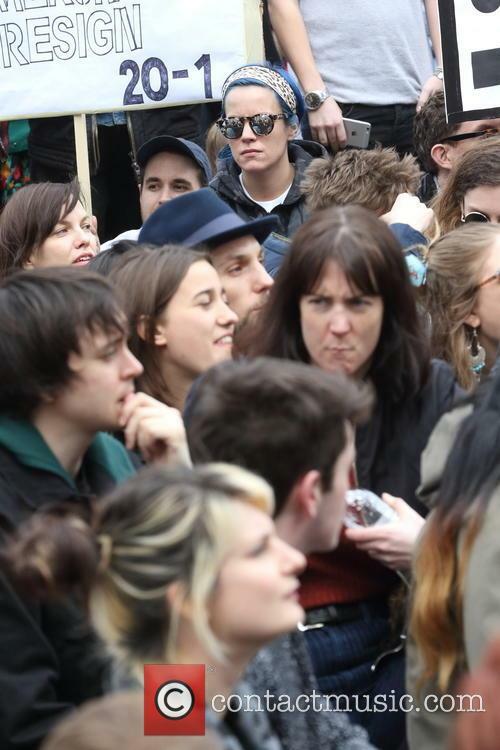 Many in the crowd joined Lily in her anger towards the football supremo and were heard cheering loudly. The 29 year-old singer crowned her musical comeback with a slot on the prestigious Pyramid Stage on the first day of the British festival. 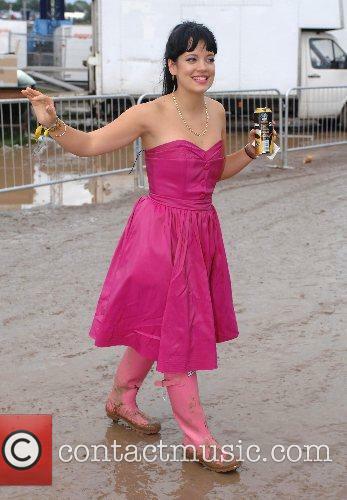 Appearing in a satin pink and white ball gown with a pint of beer in her hand, the 'Hard Out Here' star performed on a stage adorned with enormous baby milk bottles. 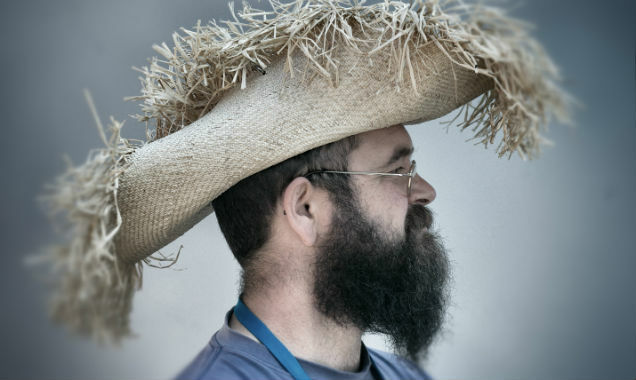 The strongest beards at this year's Glastonbury Festival. 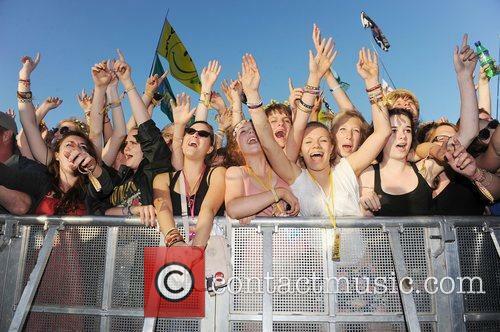 Thousands of Glastonbury Festival revellers turned out to watch the Kaiser Chiefs launch the first full day of music at the event, on the Other Stage early on Friday morning. "Glastonbury sing along if you know the words," yelled frontman Ricky Wilson before launching into 'Every Day I Love You Less and Less'. With rain persistent all morning, the fans have already begun navigating the muddy fields and paths but appeared in high spirits for the Kaiser Chiefs. Monty Python’s cheeky reimagining of 'Always Look on the Bright Side of Life' is a playful ditty, sure to galvanise the nation’s spirit ahead of the World Cup in Brazil. This is probably the best unofficial World Cup song England has had. Sorry, Lily Allen. Harry Styles, Chris Martin, Pharrell, is Lily Allen our new selfie queen? 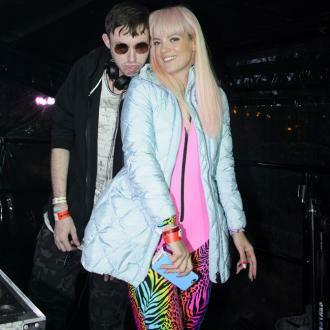 It might be hard out here for some, but looking at Lily Allen’s Instagram page it all seemed like one very fun filled Big Weekend for the 'Sheezus' singer. Lily returned to Radio One’s Big Weekend this Saturday in Glasgow performing on the main stage after a five year absence from the festival. From the looks of things, Lily had a great time catching up with old friends and even making a few new ones. When she wasn't treating fans to songs form her latest album, she was treating them to some star studded snaps via her always entertaining Instagram page. What are some of the best pop albums released so far in 2014? Here's a look at five of them. We've nearly reached the halfway point of 2014, and through that period, we’ve certainly had enough music to last an entire year already. Luckily, there’s still a good amount of time to go, and rumored albums from the likes of Adele, Kanye West, and Taylor Swift just barely scratch the surface on what we could possibly see before the year’s end. However, until the day that there’s confirmation of any of those records existing, we have the top five records from 2014 that are definitely worth checking out. After taking over the airwaves with their 2012 platinum single, ‘Brokenhearted,’ it was near radio silence from pop-duo Karmin when it came to their full-length. Rumored feuds with their label, Epic Records, may have had a part in what delayed the record, but it finally saw a release last march. Pulses is a 13-track jam fest filled with the best qualities Karmin has, with even a couple new ones thrown it. It didn’t perform nearly as well on the charts as it should have, but with a push to the song ‘Night Like This,’ it might just give Karmin another hit. Lily Allen Gives Gary Barlow Both Barrels Over "Tax Avoidance"
Lily Allen doesn't like Gary Barlow's alleged tax avoidance - but did he really do anything wrong? Lily Allen has spoken out against the Take That singer-songwriter Gary Barlow in light of allegations that he and bandmates Howard Donald and Mark Owen invested in a tax avoidance scheme. Writing on Twitter on Monday (May 12), Lily - who is currently ill with food poisoning - said: "I dedicate my next sick to to you lot. #taxdodging... Can't get through to NHSDirect , no midwives in your area? Well at least the Queen got a nice birthday party/jubilee , whatever @GaryBarlow." Her comments are in stark contrast to those made by Prime Minister David Cameron who told ITV's Good Morning Britain that Barlow should be allowed to keep his OBE. 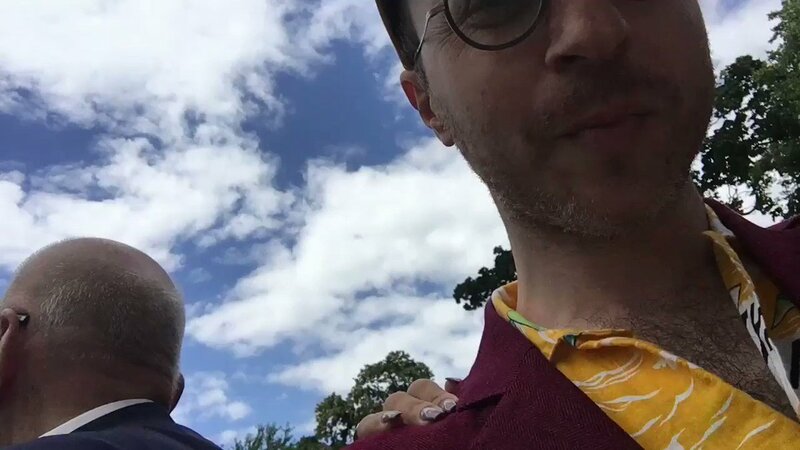 Continue reading: Lily Allen Gives Gary Barlow Both Barrels Over "Tax Avoidance"
Lily Allen was hospitalised after her appearance on Alan Carr's chat show. Lily Allen has been admitted to hospital after becoming unwell following an appearance on Alan Carr's 'Chatty Man' talk show. The singer tweeted a picture from her hospital bed showing her connected up to an intravenous drip. 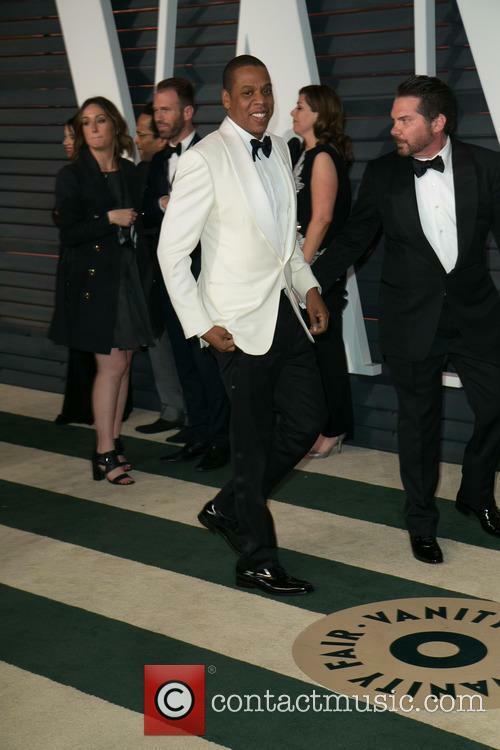 Referring to the title of her new album - which has scored decent reviews - Allen said: "#SHEEzUS in #SHOSPITAL. I'm fine though guys, just need some fluids cause i can't keep anything down." Earlier she had uploaded a picture on Instagram of a number of empty bottles of water with the caption "#poisoned"
Lily Allen’s ‘Sheezus’ might be a subtle nod to Kanye West, but it’s a full-blown dedication to the late Amy Winehouse, whom Allen displays great warmth and respect for in a recent interview with The Telegraph. Explaining that "[Amy] was too damn interesting for her own good," Allen explains that her third studio album is a dedication to the late singer, and that while she didn’t know her like a close friend, she certainly new “a version” of her before her tragic death. Lily Allen is looking very trim lately, but what encouraged her recent weight gain and how did she drop the post-baby pounds? 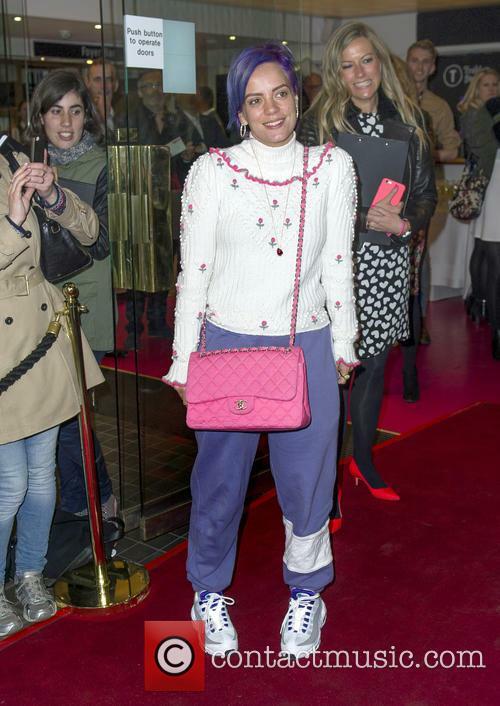 It has to be said, Lily Allen is looking in pretty great shape at the moment. When she first rose to fame in 2006 at just 20 years old, there was barely an ounce of fat on her and no-one could possibly have made any negative comments regarding her weight. However, after a weight gain following a difficult period, the ‘It’s Not Me, It’s You’ singer was famously embroiled in a Twitter tiff with toxic Katie Hopkins, who had criticised the mother of two. "I quite liked her when she was singing and kind of interesting and then she went off to tell us all about being a mother," Hopkins tweeted, adding, "She was removing herself from the spotlight because she wanted to be a mother and that largely involved gaining two stone and looking pretty hideous." Unkind words are Katie’s forte, particularly when you consider the catalysts to Allen’s weight gain. 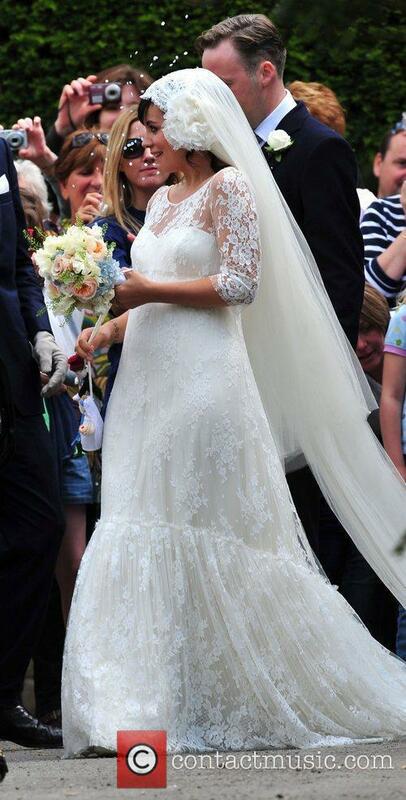 The star had previously suffered a miscarriage in 2008, causing her to spiral into depression. She met her husband Sam Cooper in 2009 and became pregnant, only to suffer from a stillbirth 6 months into her pregnancy. Allen finally managed to go full term with her daughter, Ethel Mary in 2011, followed by a second daughter, Marnie Rose in January 2013. Lily Allen Agrees With Fan Who Calls Her New 'Sheezus' Music "Rubbish"
After a fan complained that Lily's latest music was only made "to cash some cheques," the 28 year-old singer agreed and asked him to "keep the faith." 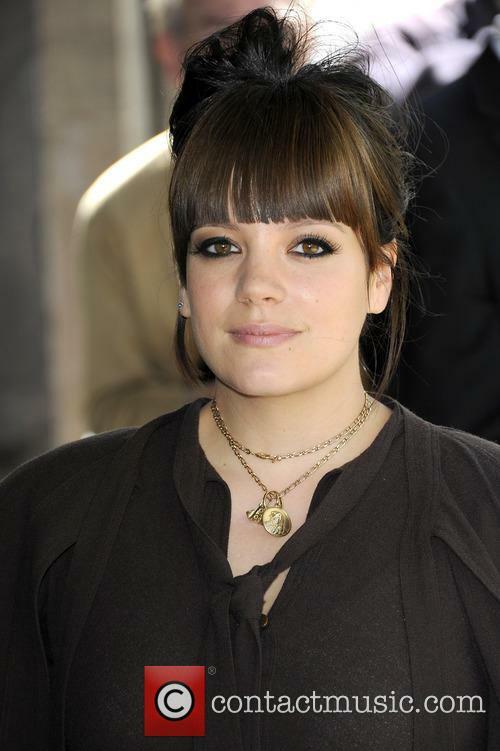 After a four year break Lily Allen arrived back on the music and landed in the UK's top ten twice. The 28 year-old achieved a No.1 with the cover of Keane's 'Somewhere Only We Know', and her own first official single 'Hard Out Here' earned the No.9 spot. But despite these accomplishments, Allen admits that her new singles have been "rubbish." Continue reading: Lily Allen Agrees With Fan Who Calls Her New 'Sheezus' Music "Rubbish"
Michael McIntyre didn't convince all the critics, but there's hope for his new late night chat show. 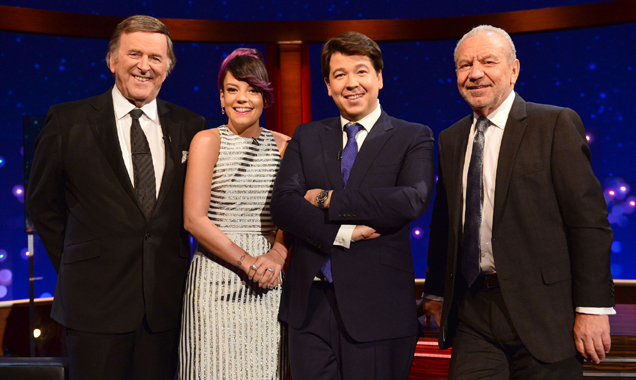 Michael McIntyre's talk show launched on Monday evening (March 10, 2014), with guests Alan Sugar, Terry Wogan and Lily Allen. Though it suffered an underwhelming response from critics, the comedian's show actually performed pretty well and pulled in 2.4 million (21.9%) for the 10.35pm-11.20pm timeslot. The figures tied McIntyre with Graham Norton's Monday night chat show The Bigger Picture, which aired in August 2005 and also pulled in 2.4 million, according to Broadcast Now. Norton's Friday night chat show is one of the most popular shows on British television and the Irish broadcaster regularly welcomes a line-up of A-list guests. Lilly Allen has confirmed, while talking to Graham Norton on his late night talk show, that her new album will be called Sheezus. She also admitted the title is a slight not to Kanye West’s Yeezus, calling it a “confident” choice. "It's a confident title choice - and a little nod to Kanye West," explained Allen while appearing on the Graham Norton Show. ‘It's Not Me, It's You’ and ‘Alright, Still’ became certified triple-platinum albums in the UK when they sold over 900k copies, so Allen will he hoping her confident choice translates into a matching performance. Allen v Hopkins. But who won? Katie Hopkins has garnered a reputation for canvasing some very unpopular opinions. Of course, her and her employers know what they’re doing, and getting attention is the name of the game. Lily Allen took he bait, though (we can't really blame her) and gave Hopkins a piece of her mind after a frankly nasty rant in Heat magazine from the former Apprentice hopeful (that means loser). Lily Allen is full of regrets after turning down a private gig in 2009 for which she would have received "hundreds of thousands Bitcoins", which are worth £610 each today. Lily Allen recently reflected on one of the most regrettable decisions of her life. The British singer was approached to perform private gig for a whopping £61 million. Allen revealed on her twitter account that she turned down to play live stream a concert to the virtual world 'Second Life' "about five years" ago. Dolly Parton could be bringing her country tunes to Glastonbury. As we speculated back in October, Dolly Parton is to be confirmed to perform at Glastonbury 2014. The "9 to 5" singer is likely to appear in the Sunday Legends slot on the Pyramid Stage, previously filled by Tom Jones, Shirley Bassey and Ray Davies. It would mark the 67-year-old's debut appearance at the legendary festival at Worthy Farm in Pilton, Somerset. Lily Allen's cover of Keane's 'Somewhere Only We Know' could be heading to be the Christmas No.1 as it reigns the UK singles charts for a third week. Lily Allen outlasts strong pushes from Avicii and Leona Lewis to score her third week at No.1 with Keane's cover 'Somewhere Only We Know'. The track, which is gained popularity after featuring on the John Lewis Christmas advert, regained the No.1 spot last week and hasn't moved since, The Official Charts Company reports. However, this week was a close competition as Avicii's 'Hey Brother' came in 2nd place just 5,700 copies behind Allen. Lily Allen's cover of Keane's 'Somewhere Only We Know' returns to take the No.1 spot on the Official UK Singles Chart by holding off tough competition from One Direction's 'Story Of My Life'. Lily Allen returns to the Official UK Singles Chart No.1 spot with her cover of Keane's 'Somewhere We Only Know'. After reaching the charts two weeks ago, the 27 year-old was knocked off the top spot last Sunday by Calvin Harris Alesso and Hurts' 'Under Control', but reclaims the top spot this week, reports the Official Charts Company. The track, which is tipped to be this year's Christmas No.1, features in department store John Lewis' 'Bear And Hare' festive TV commercial.